Being like many, I also like dying my hairs and sometimes wished that the color to stay little more. But sometimes its fade away quickly and it costs noticeable amount for a redo from saloon. Its common to hear that, after washing the dyed hair, the color got faded or, often changes color and does not look at all to the color we applied at the beginning. In this post, I’ve shared some tips and tricks which are supposed to be common but, many hair saloons keep them as secret. They don’t tell all the precautionary things to make hairs not to loose their color quickly especially after rinsing them. Instead of being worried and keep checking lighted mirror in fear of losing beautiful color, Follow all the tips shared below and make wet or wash your hair after dying them with confidence. Once a week apply a colored fixative, which hydrates the hair and protects it against exposure to water, which is the great enemy of dyed hair. After each wash, apply an intensive repair mask specifically for dyed hair, it helps in recovering the shine and softness, which are usually lost with dyeing products. Try as much as possible to avoid use of hair dryer, curler, and the straightening iron, especially with higher temperature. Since the intense heat causes the hair to lose color and shine more quickly. Without rinsing, apply a cream or oil which has a UV filter to protect hairs from the sun’s rays, which can discolor the color and dry out your hair. 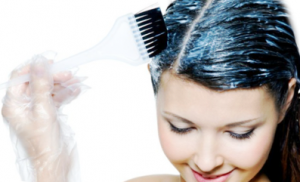 Use special products for dyed hair. There are specific shampoos and conditioners for dyed hair, as well as treatment creams and non-rinsing creams. They all help in protecting your hair from damaging and also helps in maintaining color. Feel free to follow the tips and tricks shared above to keep your dyed hair stay longer, and wash and dry them at home with confident without being worried. Note: If you are interested in any of the hair care product named above, you may click on it to check its price and/or features as I’ve made some of them linked to amazon for your ease. © 2019 Pro Flat Iron. All rights reserved.